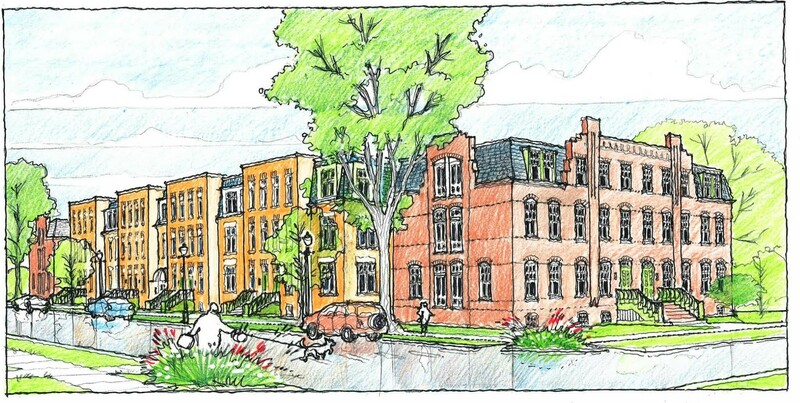 Blueprints to transform Pullman—Chicago’s new national park on the Far South Side—into a historic, environmental and cultural epicenter became that much clearer when it was announced last month that VOA Associates will design Pullman Artspace, a mixed-use development of artist live/work and community space. Pullman, built in the late nineteenth century by industrialist George Pullman as one of the first company towns in the US, has been steadily reweaving its history of urban design innovation. Pullman’s residents have, for decades, worked to safeguard the area’s historic assets and cultural character, and the ambitious aspirations of this tight-knit South Side community have reaped impressive results. After saving the original Pullman town from demolition in the 1960s, area residents successfully advocated for Pullman to become a National Historic Landmark in 1970, and, in February of this year, celebrated another prodigious success when President Obama proclaimed the area Pullman National Monument. The Pullman Artspace project was conceived in 2011 by area artists, who forged a partnership among PullmanArts, Chicago Neighborhood Initiatives, and Artspace, the national, Minneapolis-based organization that develops affordable artist space. The group launched a needs assessment with a matching grant of $250,000 from the Gaylord and Dorothy Donnelley Foundation. With additional funding from LISC and Artspace, the group canvassed more than 100 artists and community stakeholders over an eight-month period. After completion of the survey, the group moved into site selection. 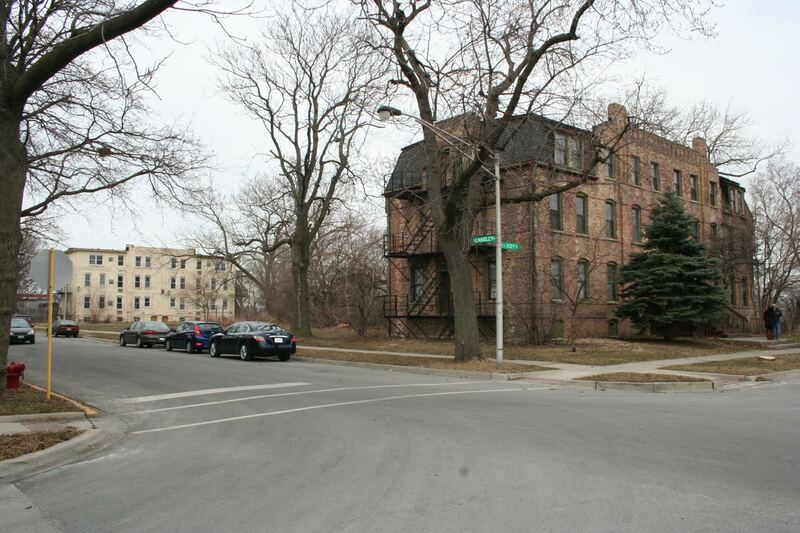 According to David Doig, president of Chicago Neighborhood Initiatives, the group considered several pockets of land and unused structures—including a fire-damaged structure near the Administration Building, and the Stables Building, across from the Hotel Florence on Arcade Park. The team selected a one-block stretch of vacant land in the northeast corner of Pullman, where development has lagged. Just east of Hotel Florence, the block on Langley Avenue, between South 111th and 112th Streets, is bookended by two late-nineteenth-century buildings, one of which, at 11127-29 South Langley, was donated to the project by the prior owner. The buildings will be adapted to the plan. The competition to design artist housing and studios, as well as two community areas with gallery and classroom space, was launched in January with funding from the Richard H. Driehaus Foundation. The jury included representatives from Pullman Arts and Artspace, CNI’s David Doig, Edward Wolner, professor of architecture at Ball State, Janice Reiff, a Pullman historian and history professor at UCLA, Stuart Cohen, of Stuart Cohen and Julie Hacker Architects, and architecture critic Lee Bey. In April, three firms were chosen as finalists: BKV Group, Holabird and Root, and VOA Associates. Last month, the jury announced its selection of VOA Associates as project architect. The jury, Doig notes, was impressed by VOA’s contextual approach. Without mimicking late-Victorian era Pullman structures, the design reflects the fabric of the existing community, using standard red brick and incorporating window detail, and integrating modern elements and floor plans. Next steps for the project include putting together a marketing plan, and determining apartment types, floor plans and rental rates. Housing is expected to include thirty-five-to-forty one-, two-, and three-bedroom apartments. Programming for the two community spaces, each approximately 900 square feet, will be managed by Pullman Arts. Final plans are expected in eighteen months, and construction will then begin. Partner members traveled to Lowell, Massachusetts, to observe how one of the first urban national parks preserved the town’s textile industry and revitalized its built and cultural fabric. Like Pullman, the area lost population during the last century and had many abandoned buildings, but national park designation leveraged resources for Lowell, and the town attracted artists priced out of Boston. In Pullman, the presence of practicing artists and craftspeople is expected to enliven the visitor experience of a place significant for its contribution to the nation’s early urban planning, industry and design aesthetic. Doig, who was instrumental in bringing Walmart and the new Method soap factory to the area, is deservedly confident and optimistic about the project’s potential to contribute to the revitalization of the area and serve as a model for urban national parks and monuments. For more on the recent National Park Monument designation on Pullman, see the Newcity article, “The Pullman Plan,” by Aaron Rose, May 5, 2015.